It works great haven't had any problems. We paid off this machine with rent a center back in 2012 and after all these years of heavy use in a 4 person family, it's still going strong. Delicates like doilies tossed in a pillowcase, regular shirts and pants, jeans, towels, blankets, sneakers. All have come out just fine and also dry. I even stored it for 13 months in a storage unit and it hooked back up and ran again with zero problems. Only cons are that it's loud, which is common with dryers. And that sometimes you have to run it a long time to get certain loads or fabrics dry. I'd definitely recommend these machines. We actually bought this dryer used from someone else a few years ago and it is still going strong! I constantly put comforters, sheets, clothes, rugs, etc. in there and they have all done just fine. Everything gets dry as it should. I almost never have to put anything in for longer than one cycle. Usually if I do, it's because it all balled up together in a sheet or something so it didn't get dry properly. It is quiet as well. I use it every day and sometimes for 2-3 loads. It has taken a beating and still goes strong. Love my dryer! It gets the clothes dry in one round...every time! Never have a problem. Lint filter is easy to clean. Dependable! I have a big family with multi generations living under one roof. So the dryer is constantly in use as the washing machine. 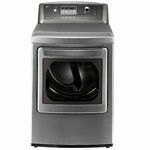 This dryer has lived up to the heavy duty usage in my family and I have really enjoyed it very much. It is quiet and drys faster then other leading brands I have owned. I bought my Whirlpool Electric Dryer from a cousin of mine almost 9 years ago. She used the dryer for at least 5 years before I bought it from her. This dryer STILL dries my clothes so well. It has enough options to make sure that I dry my clothes correctly too. I can dry my delicates on a lower setting and my towels on a higher setting. It is easy to learn how to use the dial to select the correct drying option. I can fill my dryer full of laundry and it dries all of them evenly. I sometimes have to give it more time, but it is usually my fault for overloading it or forgetting to clean out the lint trap. It dries my clothes quickly every time. The line trap is also easy to use. It comes out easily and the lint is removed quickly. 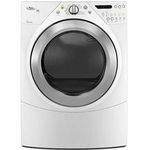 This is a great dryer and a great value too! Load Capacity I can fit a huge load of towels in my dryer. 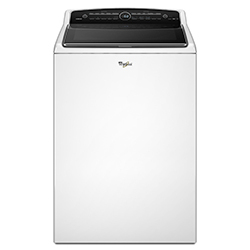 Performance Even with a full load of laundry this dryer gets them dry every time. Ease of Use It is extremely easy to learn how to use the dials. Durability I've had my dryer for almost 9 years and it was owned for at least 5 years prior to my purchase of it. That's durability! Design The dryer doesn't take a lot of room in my laundry room. 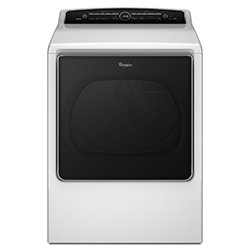 This Whirlpool 7.0 cu ft electric dryer is a great addition to your home with your whirlpool washer to match them together. We have had this dryer for many many years and it has held up very well. 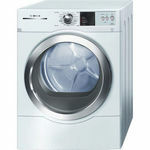 We have not had any issues with this dryer as it has worked wonderful over the many years of ownership. I would rate the durability of this dryer as a ten because it has held up great with no problems for the many years we have had it in our possession. It is also very easy to use so I would rate that as a ten also. It can hold many clothes which is really great because we always have clothes to wash and dry so it is nice to get them done in one load if possible. I love this dryer because of all these reasons and would not have picked a different one. 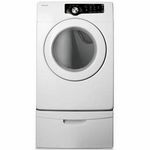 I would highly reccommend this to anyone looking for a new dryer and just tell them it is a great investment and will be well worth it for how well it performs for you for many years to come. Pretty darn good for the price! When we moved into our new home, we were surprised to see that the dryer hook-up was electric, and our gas dryer would not work. 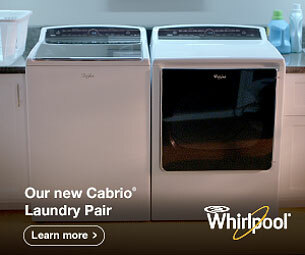 The Whirlpool 7.0 cu. ft. Electric Dryer turned out to be cheaper than installing a new gas line, so that is what we went with. What a pleasant surprise! This dryer worked better and faster than our previous (and much more expensive) gas dryer. It makes very little noise, is easy on our clothing, and easy on the electric bill. 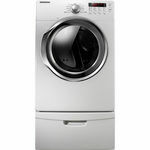 Plus the cost couldn't be beat - I would recommend this dryer to anyone with an electric hook-up! 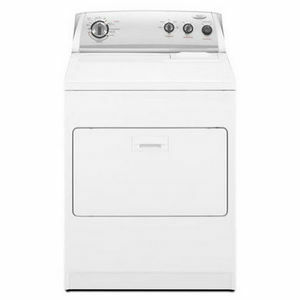 Load Capacity I can put whole comforter and sheet sets in this dryer - and they dry on one run! Performance Outstanding! Beats out every gas dryer we have ever used! Ease of Use Very easy to use ... even our teenage sons have figured it out ... and that's REALLY saying something. Durability Haven't had a single issue yet! Works great! Design A little wider than expected. Took some wiggly and finagling to get it in next to our washing machine. We purchased this after a fire in our home last year. I was kinda weary because it was priced below average. Boy was i ever shocked. I have a large family plus two grandbabies. I wash at least five loads of clothes a day. That does not count all of the bedding once a week and the pets toys and blankets. This thing is great and durable. My husband works in the mines. His clothing is heavy and well oily sometimes even after washing. It has not hurt this dryer in the least. It keeps on going. I noticed also that my electric bill has dropped dramatically since we purchased this dryer. It dries clothing safely in half the time. A load of heavy dark work clothes dries in approximately 25 minutes compared the sixty with my old dryer. WOW! Bot only does that make electric bill lower but what a time saver. It is perfect for people with large families that have to multitask. I hate waiting for clothing to get done when I have a million things to do. Low price, durable, good value and saves you time and money in the long run. I give this %100 rating. Only brand I will ever buy.